As a homeowner, you are fully aware of the cost to upkeep your house and it probably seems like it increases each month. Like many, you turn to DIY projects to save a few dollars here and there if you can. When it comes to your utility bills you may have changed out all your light bulbs to energy savers and kept your thermostat at the lowest it can be with freezing. The question is what happens when you have exhausted all those options? Thats a good question and I am glad you asked. The short answer is Solar panels! You may have seen the commercials or received something in the mail about it. Solar panels are great for reducing your energy cost. Think about it, what is better than using the sun to create energy and save you money. If the sun still rises you will be good...lol. Here are some benefits you may or might not know from getting a Morgan Hill solar installation. Adding solar panels to your home can bring in monthly savings of well above $100. That sounds like a good deal to me!!! Solar panels will increase a home`s attractiveness on the market, similarly to homes with low property taxes, homes in school districts and homes with good Home Energy Ratings (a measurement of a energy efficiency). One of the biggest energy tax credits available to homeowners and businesses is the investment tax credit for solar. This credit applies both to solar panel systems and solar hot water systems and is worth 30 percent of the cost of buying and installing a solar system .. The U.S. places second in the world in annual carbon dioxide emissions at 17.9%, right behind China.You can go a long way in lowering your carbon footprint by replacing utility power with clean electricity from solar panels. 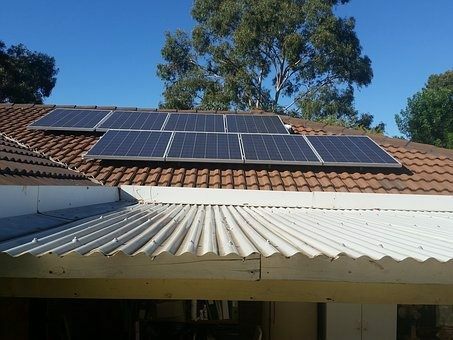 If you are ready to find out more about solar panel installation do not hesitate to contact Affordable roofing so we can get you all setup and saving money soon!